With more than 8 million people flying daily, it’s no secret that airports are one of the busiest places on Earth. That’s not even taking into account the hundreds of staff members working inside the airports too. From monitoring your employees as a manager to tracking flights as a passenger and everything in-between, the need for more organization is dire. In today’s world, the solution is literally right at our fingertips. 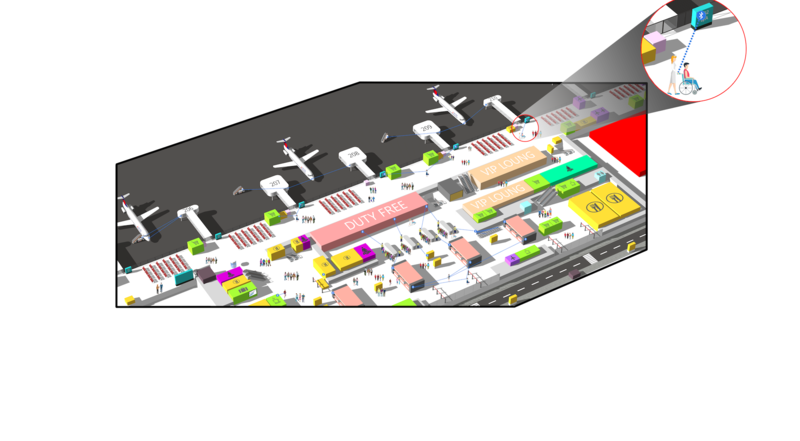 Antikythera Technologies has shaped a game-changing solution that will reimagine the way airports operate worldwide. We use cutting-edge Bluetooth BLE technology that connects passenger’s smartphones to various strategically-placed beacons throughout the airport. From here, travelers can navigate their way around, locate points of interest during layovers, access exciting promotions, find out how long it will take to get to their gate, and more. This way, passengers can save a mountain of time and stress – knowing whether they have time for that 5-minute coffee or not. With the added convenience of being able to notify friends and family members as to your exact whereabouts, so they can meet you at your location, it’s a win-win all around. 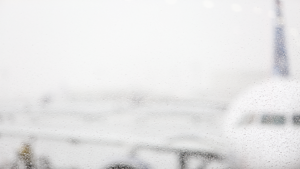 Airport management scores the most, with intuitive access to real-time employee locations. 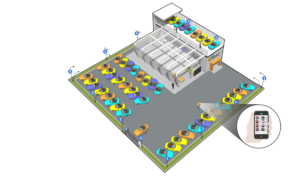 What better way to optimize the internal operations and organization of your airport? What’s more, should any of your passengers require a wheelchair, your staff members can use the app on their smartphones to locate the closest one and request a real-time pick-up and help with Wheelchair assistance at all airport. The concept is based on the same model as Uber, delivering on-demand service when and where it’s needed the most. Our technology tracks items via indoor positioning determination. If a BLE tag is attached to the item, such as a wheelchair, it can connect to the closest BLE beacon and send alerts to those who need them. However, all of this is just the beginning. We’ve taken things one step further with the added ability to incorporate wearable devices, such as the Apple Watch, to help both travelers and staff members navigate and receive helpful alerts.This is particularly relevant for travelers whose hands are always full of multiple pieces of luggage, tickets and more. Pulling your smartphone out of your pocket is not always possible. Imagine if one glance at your wrist could tell you exactly where to go? This is the reality of Antikythera Technologies. We pride ourselves on developing concepts with the power to simplify and streamline the way the world moves; fusing passion with experience and expertise to make a difference. 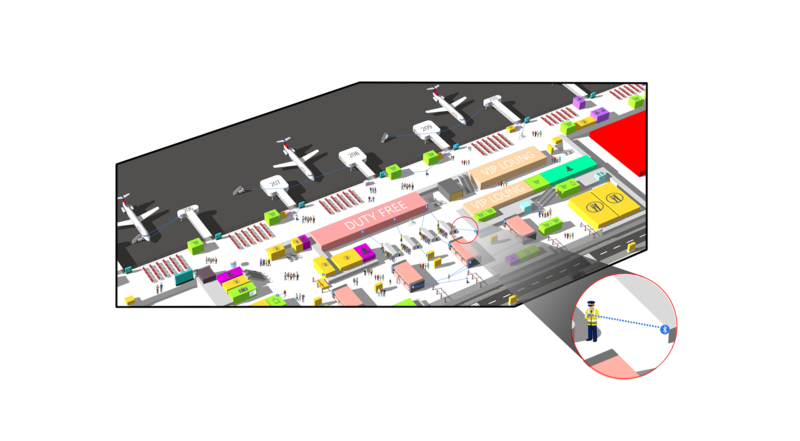 We can create a custom Airport map for your passengers to easily find point of interest, security check point and much more. 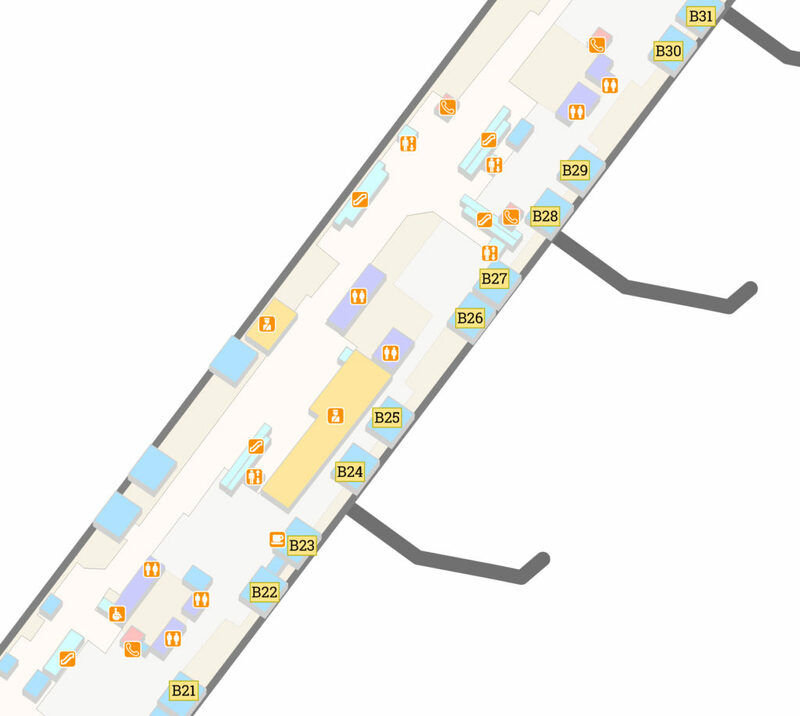 You can also integrate the indoor airport map with your indoor navigation application. 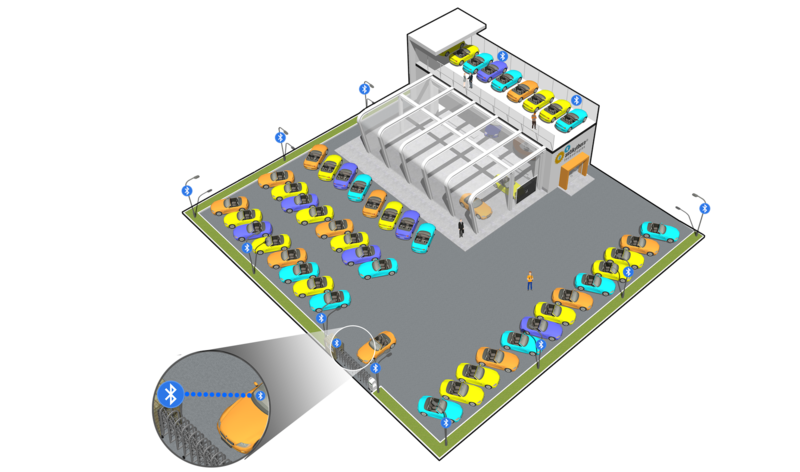 It can help your passengers with step by step indoor navigation and indoor positioning. 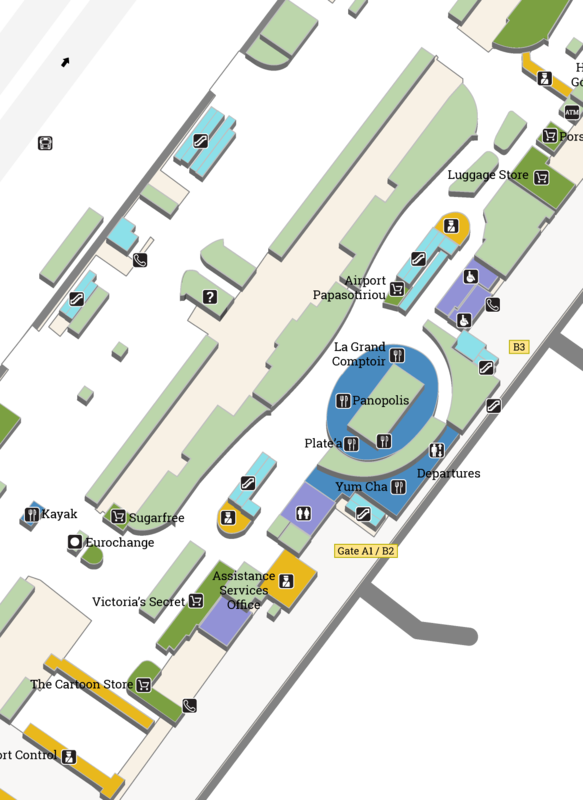 Our maps can easily be overplayed on top of Google map for a better airline passenger experience. 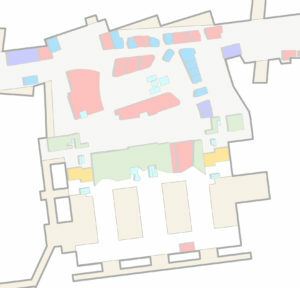 Some samples of our Indoor Airport Map Solutions with unlimited possibilities. The day in the life of a car dealership owner or manager is no walk in the park. How many clients do you see in one singly day? How many cars and keys do you have to manage? Chance are, far too many. That’s why Antikythera Technologies has crafted an innovative line of Bluetooth BLE beacons, designed to streamline, simplify and organize your daily life. Always know exactly where your cars are. You can easily login to the system to find a specific vehicle. No more keeping your clients waiting or twiddling your thumbs while one of your employees tries to find a hiding motor vehicle. If a vehicle is taken out for a test drive, or arrives back from one, you’ll know about it. 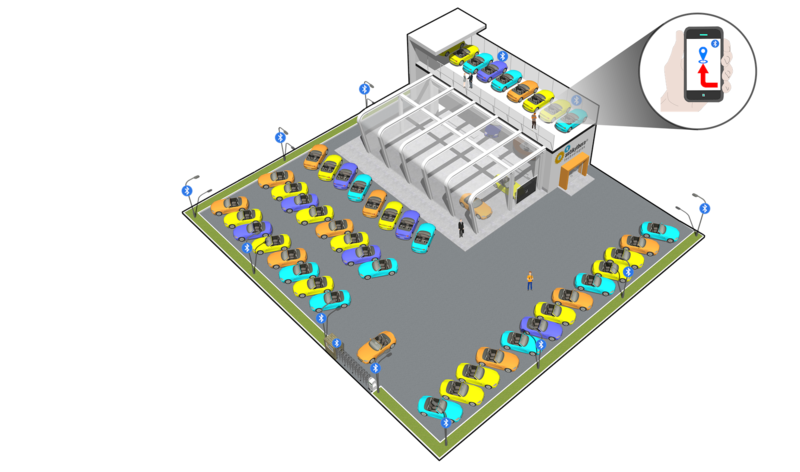 The car will pass through the beacon placed at the entrance of your dealership, alerting the people who need to be alerted. Your customers also score, with the ability to download the app and browse for the car they’re searching for. They can also find their way around the dealership with ease. Speaking of your customers, they can also access exciting deals and discounts. If you offer them, they’ll find them. Simple. Everything works via powerful indoor positioning determination. Think of the concept as something similar to Uber, delivering on-demand service where it’s needed the most. No more wasted time. No more stress. 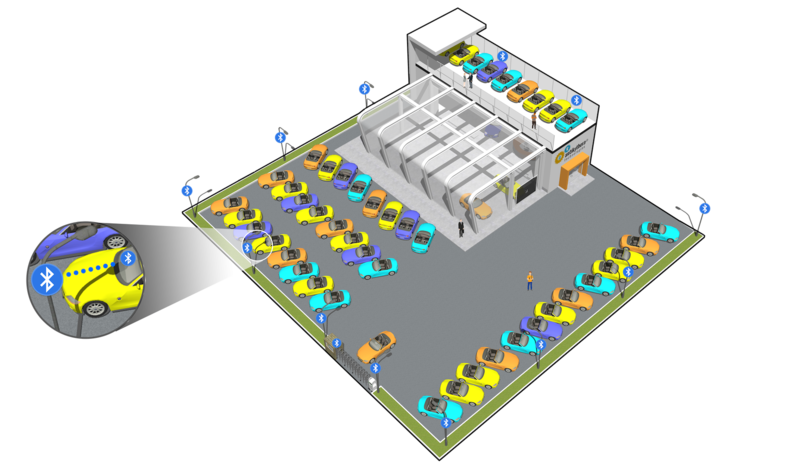 This is the future of your dealership. It’s here, and it’s here to stay. Are you ready? This just in: BLE technology from Antikythera Technologies is set to disrupt and redefine manufacturing as we know it! When it comes to your assembly line, everything needs to operate line clockwork. One mishap, and everything can fall apart – especially when it comes to complex assembly lines like automobiles and other forms of transportation equipment. With Antikythera Technologies, you’ll never have to worry again. Allow us to explain. We’ve created cutting-edge Bluetooth BLE technology that connects every stage of your assembly line with every worker. How does it work? Simple. 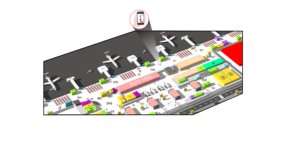 By installing strategically-placed BLE beacons throughout your assembly line, your workers can stay in-the-loop with every little thing that happens along the way. The assembly line manager can view every stage of the line at a glance, accessing key data and insights. When equipment arrives or leaves, the people who need to know about it will know about it. Provided the vehicle is equipped with a BLE tag, it can connect to the nearest beacon to send updates. When a load is ready to move to its next location, your staff will be alerted, enjoying convenient updates too. At the end of the day, countless components are needed to keep an assembly line alive and kicking. With such powerful BLE technology by your side, you’ll never have to worry about unanticipated hiccups again. 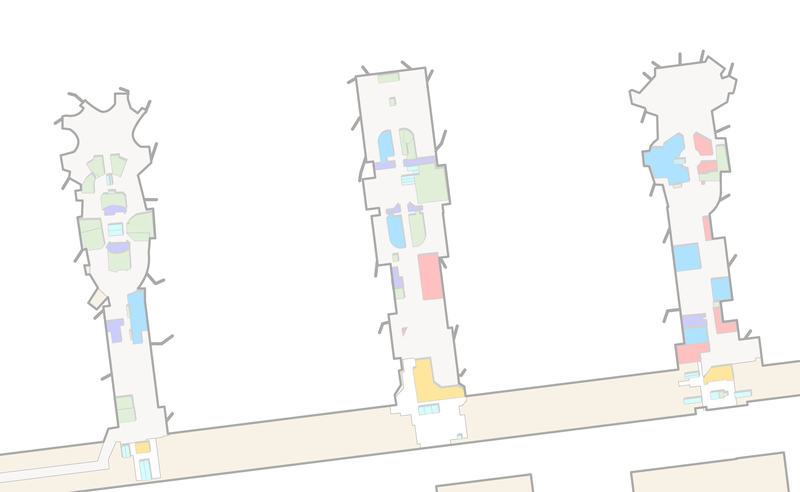 Everything works via powerful indoor positioning determination. You’ll be able to enjoy faster assembly processes, less labor, and minimal time wasted. The concept is very similar to something like Uber, delivering on-demand guidance and support where and when it’s needed the most – in this case, your assembly line. No more wasted time. No more stress. In today’s fast-paced society, subways are a primary form of transformation for millions of people all around the world. In fact; in New York alone, more than 4.3 million people ride the subway system every day…and more than 1 billion a year. Unfortunately, countless people still face endless frustration with the system. It’s not upcoming for people to miss their trains owing to unreliable, clashing information. Sometimes, updates are provided – but how are people expected to hear this with earphones in their ears? People also need updates about delays, arrival times and more. For example; if someone only knew their train would be delayed, they could have wasted less time hanging around and arrived on time for the train. Antikythera Technologies makes this and so much more possible through advanced Bluetooth BLE technology. Here’s how it works. We help our clients to strategically place numerous BLE beacons throughout their subway station. As long as the passengers have the accompanying app downloaded onto their smartphone, they can perform a myriad of tasks to simplify and streamline their daily lives. Passengers can use their own smartphones to monitor train arrival and departure times. They can also book tickets, and receive an ETA while they are on the moving train. If a passenger does not know where his or her platform is, or which one they need to go to reach their destination, they can do so by checking their smartphone – provided they are in range of our cutting-edge BLE beacons. Passengers can easily check how long it will be until the train arrives, giving them more time to plan their schedule and minimize their wasted time. We haven’t forgotten about the guards that keep your subway safe. They can keep an eye on what’s happening in and around the station, and stay informed to assist passing passengers. In today’s world, there’s no better way to improve the operational efficiencies of your subway station, while increasing your revenue through asset tracking, communication, security and other proximity-based solutions. Technology is always evolving, and as an electronic store, it’s your job to stay ahead of the game in this regard. Failure to do so could be detrimental to your business, especially with the current movement away from brick and mortar stores. Most people buy things online these days, so, if you want to keep them coming to your store, you need to make their experience worth every second. You need to offer them something they can’t (and never will be able to) achieve online. Antikythera Technologies has developed a highly advanced system to do just that. How? Through Bluetooth BLE technology. By strategically installing our cutting-edge beacons throughout your store, you can officially take their experience to the next level in ways you never thought possible. These beacons are small, battery-operated wireless devices – and this is how they work. Save space by leaving those big red “FOR SALE” signs at home. As long as your customers have the connected app, they will be notified of any sales the second they walk past an item. Once they’ve chosen an item, they can make a safe, secure and speedy payment from their device of choice in just a few clicks. No cards needed. If your customer is searching for a specific item, but can’t find anyone to assist him or her, he/she doesn’t have to. Let your staff get on with more important stuff while our technology allows your customers to become their own personal “tour guide”. They can utilize our intuitive GPS map technology to find what they need, when they need it. This is possible through our BLE tags. Simple. It all works through Indoor Positioning Determination. As long as an item is tagged, a customer can find it. If your customers want to find out more about a product they’re interested in (such as specifications, availability, colors and more) they don’t need to bother your staff with endless questions. They can connect to their device of interest and find out everything and anything they could possibly want to know. However, all of this is really just the beginning. Perhaps you want to monitor your employees, or see how many customers have visited you in a day. With Antikythera Technologies, you can do all of this and so much more. We specialize in developing simple solutions to complex problems, giving brick and mortar electronic stores everywhere the power they need to continue thriving. All you need to do is ask. Supermarkets can be chaotic places. People generally want to get in and out as fast as they can, and not being able to find what they need (when they need it) can cause a lot of shopper frustration. Thankfully, 21st century technology means you can easily and efficiently eliminate this concern. Consumers can easily be notified and discover more about current discounts running in your store. This will save them an endless amount of time, abolishing the need to distract your workforce or browse discount booklets. There is little more frustrating than needing to do your shopping, but not being able to find a trolley. If the rack is empty, hope is not. Your employees and customers can simply log into the app to locate the nearest available trolley. Simple. This is possible through cutting-edge Indoor Positioning Determination. As long as a trolley is tagged, it can be hunted down in a matter of seconds. Let’s say a customer is lost, and cannot for the life of them find the product they’re looking for – let alone the department. There’s no need for them to bother or distract your busy employees anymore. They can simply log into the app and use powerful GPS tracking to find what they need, when they need it. It’s easy, fast and reliable. You can also track and monitor your employees, speed up sales, get customers in and out quicker, and ultimately, grow your ROI. After all, with happier customers come more money. This is just the beginning, and the list of things this technology makes possible is truly endless. While trends come and go, there’s one thing that will never change – people need clothes, and they will always want to visit your Department Store. In today’s competitive landscape, it’s more important than ever before to up your game, and stand out from the crowd. Yes; brick and mortar stores are battling to stay open, what with the world moving online. However, they are certainly not dead – or even dying. Antikythera Technologies is changing the way brick and mortar stores do business, through powerful Bluetooth BLE technology. Before we tell you what you can do with it, allow us to first explain how it works. It’s simple, and any department store can start using it effective immediately. 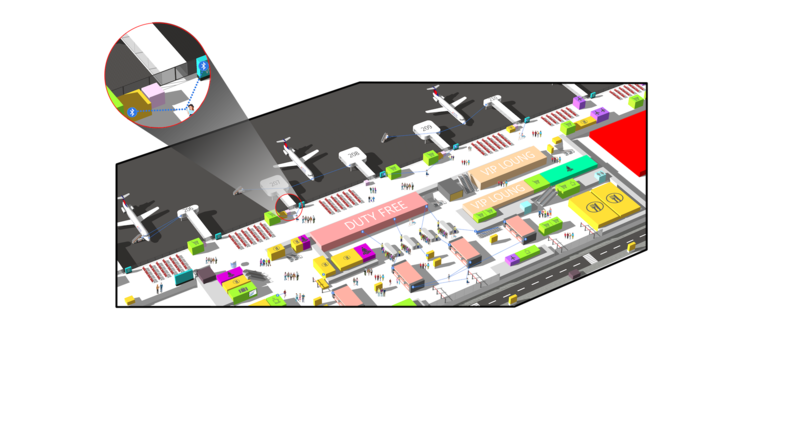 We provide our Department Store clients with various strategically-placed beacons to be placed throughout their store. These beacons are small, battery-operated wireless devices. Don’t worry – our team will perform the full installation on your behalf. From here, both your employees and your customers can download the app that goes with the beacons, to perform an exciting and advanced array of tasks. Now; here’s the exciting part. When your customers walk past a beacon, they can access special offers relating to the clothing they’re passing. They can also discover how much stock is available of the item they’re interested in, and whether in comes in different colors, sizes and more. It’s all right at their fingertips. For us, it’s all about enhancing the customer experience; and you can even use this technology to offer discounts, rewards, personalized deals, recommendations and more. You’re only limited by your imagination. Perhaps your customers or employees are searching for a certain item. They can locate it with ease using our intuitive GPS map system, which will lead them in the right direction. With this intuitive BLE technology, your customers can even make quick and easy payments at the point-of-sale. They don’t even need to pull out their card. Our technology tracks your items and connects people via indoor positioning determination. As long as your items have a BLE tag attached to them, your staff and customers can find out the information they need in just a few clicks. This is a revolutionary and powerful way to deepen the personal relationships you have with your customers, not only bringing them back for more but keeping them inside for longer too. The concept can be compared to something like Uber, providing on-demand service that enhances convenience and affordability. Here at Antikythera Technologies, we pride ourselves on shaping and delivering simpler, more streamlined concepts that make your life easier. This is just the beginning, and we can’t wait to see what the future has to hold. Hospitals and large clinics save lives every day. However, the logistics and management of internal resources can make it challenging for staff members and doctors to do what they do best – what with multiple departments on hundreds of thousands of square meters of space. When releasing a patient, one of the most important things is to be able to locate a wheelchair without delay. If the patient is in pain or struggles to walk alone, this is all the more important. You need access to staff members for assistance, as well as an ETA so you can let your patient know how long they can expect to wait. This is just an example of the countless pieces of hospital equipment that are needed at any given moment. What if you could track your expensive hospital equipment – from beds to ECG heart monitors, wheelchairs and beyond? This is the reality provided by Antikythera Technologies. We specialize in advanced technology solutions that simplify and streamline the activities of hospitals and clinics. Our cutting-edge technology tracks medical equipment by indoor position determination. Let’s say a piece of equipment is not meant to leave a certain area. If it does, a message will be triggered, and people of importance will be alerted. Every employee will be granted access to the location of the equipment through our app or desktop application. You can use your smartphone or tablet to access a crystal-clear 2D or even 3D map for intuitive indoor navigation. How is this possible? Through advanced BLE tags. These are battery-operated hardware components that you can attach to every piece of medical equipment that you wish to track. Along with strategically-placed BLE beacons throughout the building, you’ll never have to worry about missing medical equipment again. No more guessing games. Everything works with Bluetooth technology. Each tag receives a Bluetooth signal, going on to send the data received to the indoor navigation system. From here, the equipment’s position is quickly calculated, and the data is sent to all employees for viewing at a glance. This is just the beginning. 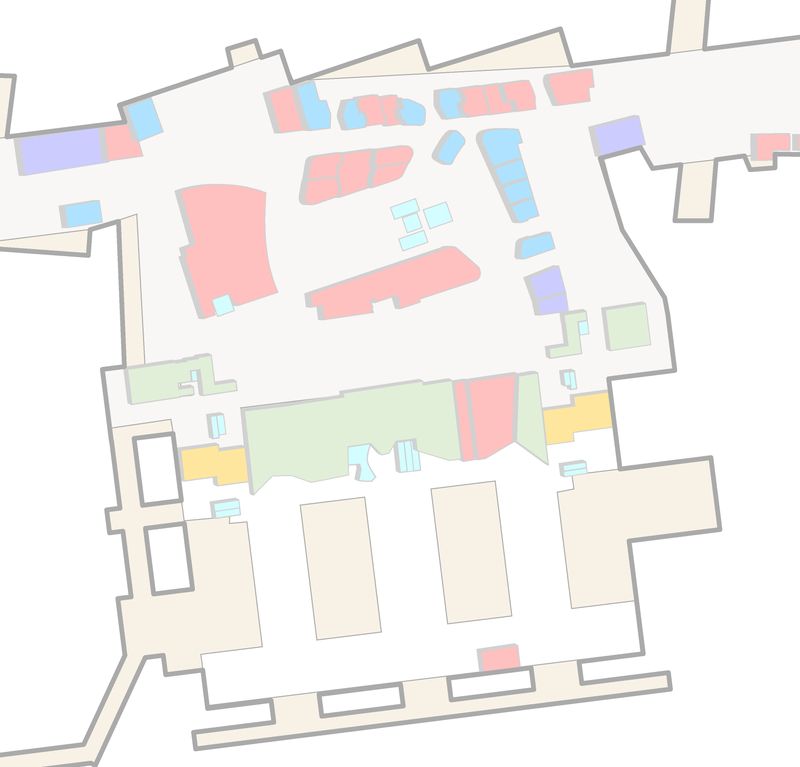 You can also use the BLE tags and beacons to track and monitor the whereabouts of employees, visitors and patients. With an estimated battery life of more than a year, you can finally focus on what matters most, providing world-class medical care, knowing that the finer details are always fully taken care of – thanks to Antikythera Technologies. APS worked with software developer Antikythera Technologies ®, Beverly Hills, to build the system’s smartphone app. Over 86 beacons are deployed throughout TBIT as part of an initial network rollout. APS’ entire wheelchair fleet can be tracked during any given work shift.